Hello Students, Family and Friends! On August 29, 2015, we had a belt test. At the conclusion of this test were the following promotions; six promoted to yellow belt, one to orange belt and two to blue belt. Each student performed extremely well proving their dedication and desire to be the best they can be! 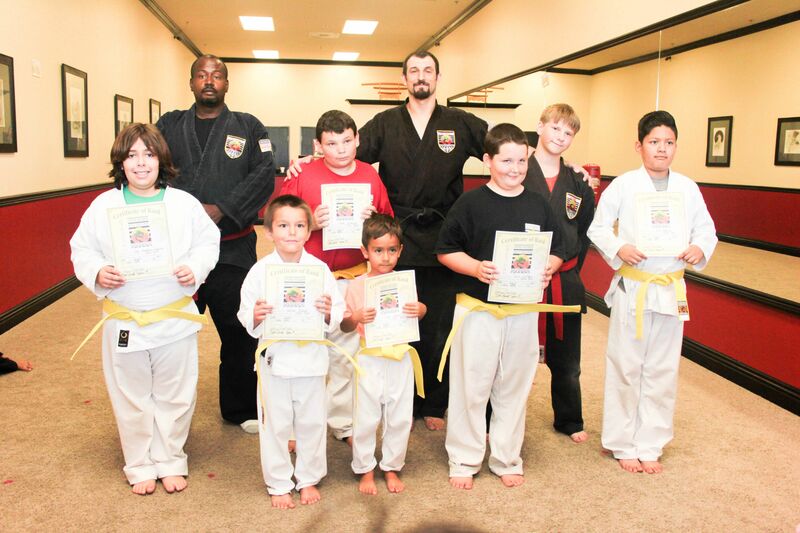 Not only were they were tested on their new forms, defensive maneuvers, kempos, punches, and kicks, but they were also tested on all that they have each learned since white belt! All the kids showed proper form as well as great determination! Congratulations to all who tested and thank you to all who made it happen! Kicks: front ball, front instep, and rising knee. BELT TEST AUGUST 2015, BLUE BELT EARNED! !